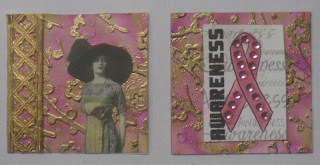 I made this at a store I visited for the first time, and Mary from Prickley Pear stamps was there teaching a fun class. I added the sentiment. 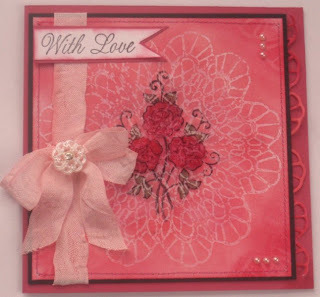 This CAS card uses Copics for coloring and I added Sakura gelly pen for sparkle on the hearts. I really liked this card we made next- I added the sentiment when I got home. 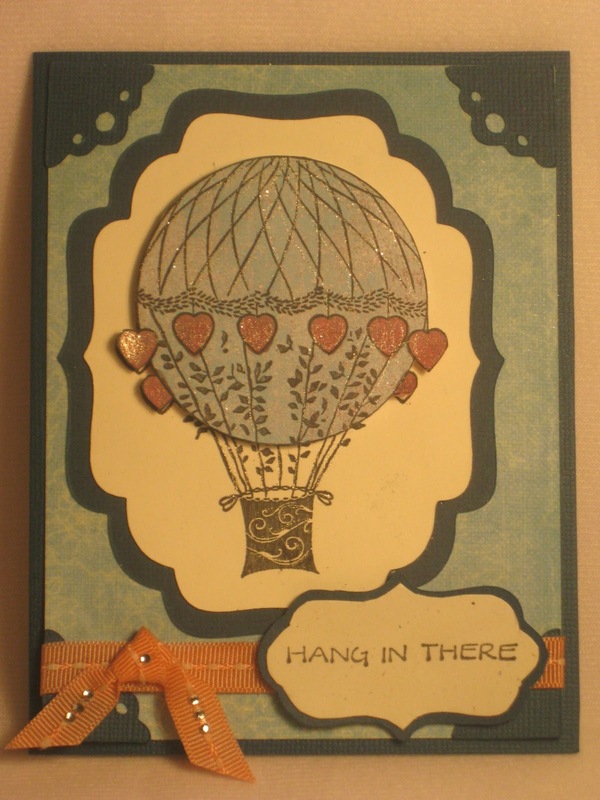 The balloon in paper pieced and colored with Copics- I also added Sakura Gelly roll pen to this card. We colored the ribbon with Copic markers to shade it closer to the color of the card. 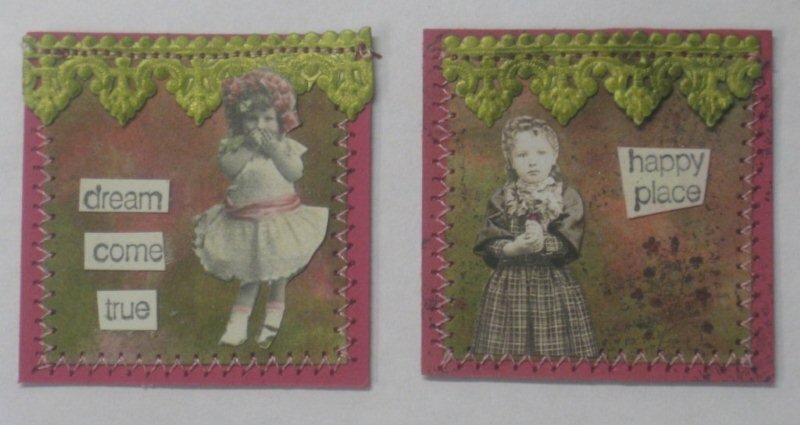 Don't forget my Blog candy- which will end at 5PM on Wednesday 2/1. 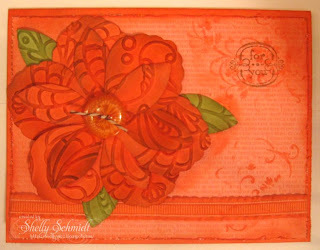 I used the Blossoms punch by SU and added texture and color- the petals are Calypso Coral and Tangerine and the leaves Pear Pizzaz. The DSP is the In COlor pack. 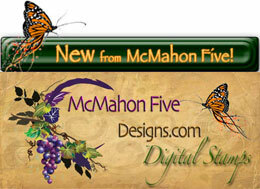 I used the set Elements of Style to add a little more interest and a sentiment. I had the pleasure of going to a SU workshop where we made some fun cards- here is one that has texture on it- my SU demo Kim is very talented and I always love to see what ideas she comes up with! 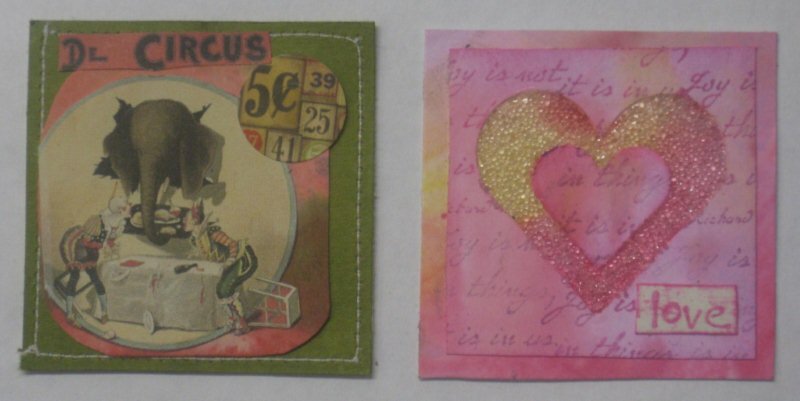 The hearts are from an Emblosslits die which cuts them out and embosses them, and the DSP is from the SAB catalog. How fun is this! 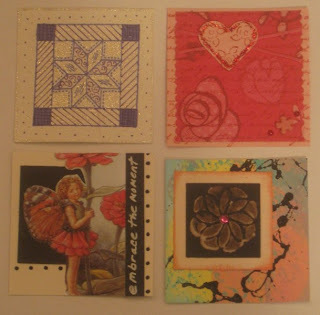 Bloggers challenge is open to all who are interested in playing along- add some texture to your card and join in! 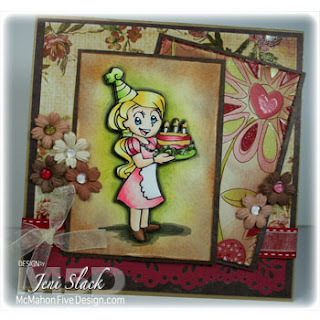 Blogger Challenge Mom is LISA and you can find her blog HERE. Well, it is not really a new thing...wax paper resist has been around for a long time.... I decided to add a piece of wax paper next to the Cheery Lynn Italian die when I die cut it, and then used it as my resist pattern. 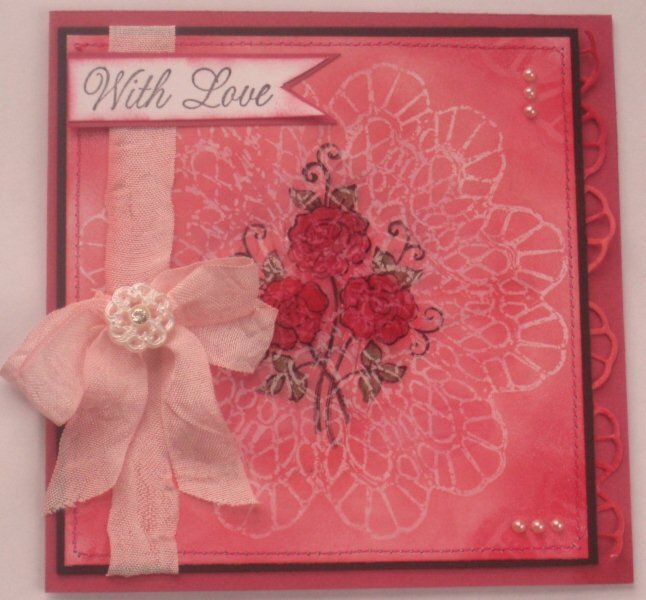 I ironed the waxy Italian die cut onto white glossy cardstock, and then used SU Regal Rose and Rose Red inks. 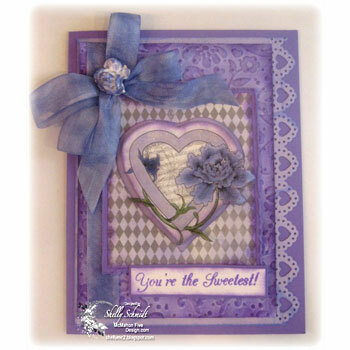 I think the edge pattern in the die looks like hearts....I finally got around to using the Sweet Stamps Elegant Filagree Oval stamp...wait- you do not see an elegant Filagree Oval...that is because I just used the floral image that comes inside the frame.... I colored the flower with Rose Red, Regal Rose and Wild Wasabi markers- you can see the pattern from the wax paper resist through the flower and the leaves. 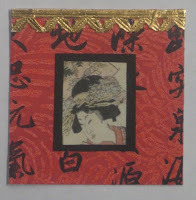 I had a die that did not impress in the center- DO NOT throw those imperfect cuts out- see the Rt hand border- I used mine as a border edge....... 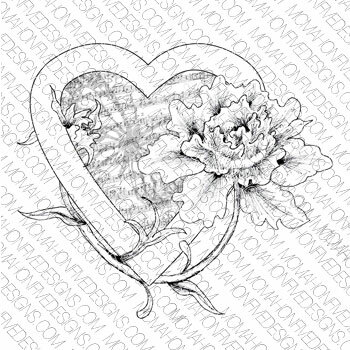 The sentiment is Great Impressions. I used Pink Pirouette SU reinker to die the seam binding to pink. The button is from my Mom's button box. CANDY! 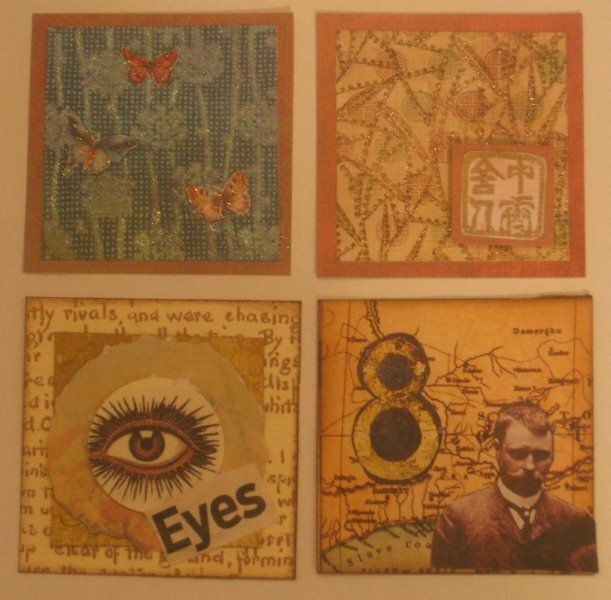 I received another Technique Junkies CD to give away! 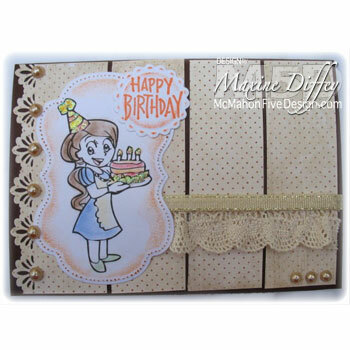 This time around, it will be the Fun Folds and Motion Paper Crafts! -Please make sure I have a way to contact you! We had a fun release this week at McMahon Five, and I was hard to pick an image...but I LOVE flowers...so I went with the Peony Love image. I started with retired SU Lovely Lilac and Orchid cardstock. 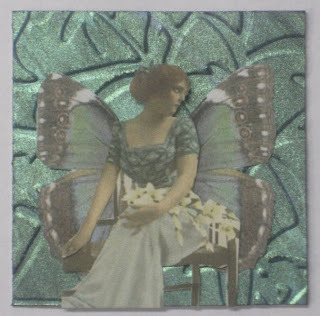 I 'double bugged' an Orchid layer and added some highlights with Lilac ink. I learned to double bugging in a Technique Junkies newsletter tutorial. 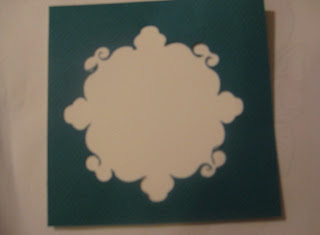 I added Orchid ink also to the B/W diamond Peony digi paper- which I printed on Cryogen White cardstock-textweight. The hearts border punch is by MS. 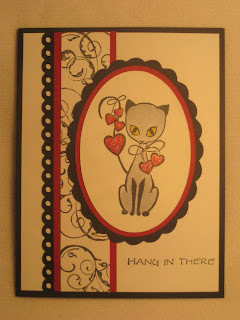 The image is colored with Copic markers and I added Sakura Gelly Roll pen to the heart frame for shimmer. The seam binding is colored with Copic markers as well. I also added a touch of Copic to the center of the white flower. 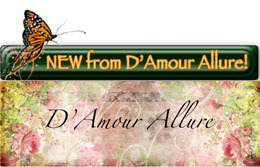 There is a line of stamps at M5D called D'Amour Allure- the sentiment is from the Language of Love set. D'Amure Allure is now releasing a line of digi stamps at M5D as well- you can see all images in the line HERE. 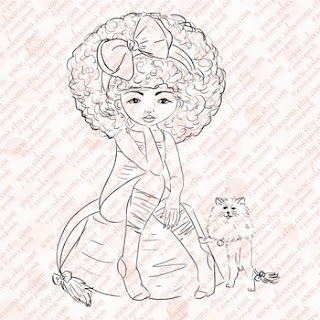 We are pleased to release another beautiful new image from the NEW D'Amour Allure illustrator, Tiffany Mills. The Creative Belli Challenge #135 for the next two weeks is Frames- make your image or sentiment 'dressed up' with a frame. The background DPS is by Memory Makers and I won it from Becca a couple of years ago.... 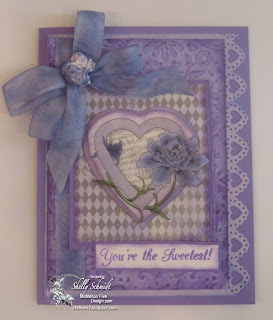 The lace is from my stash and the rhinestone matched perfectly- are from my old and forgotten stash as well. 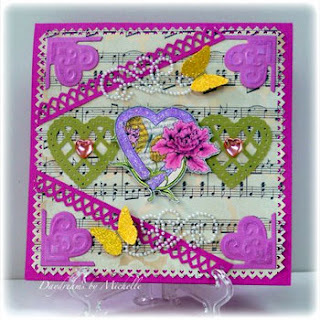 We have some new DT members- and the inspiration is fabulous- please check out the Creative Belli Blog for links to their cards! 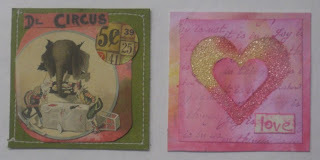 I made a fun Technique Junkies background- and it was quite easy as well- chalked emboss. I love using SU colors, because I can consult the color wheel to see what matches...this is Old Olive and Eggplant- and I used Copics with similar values to color my image ( I used V04, V09, YG93, C1 Copics). 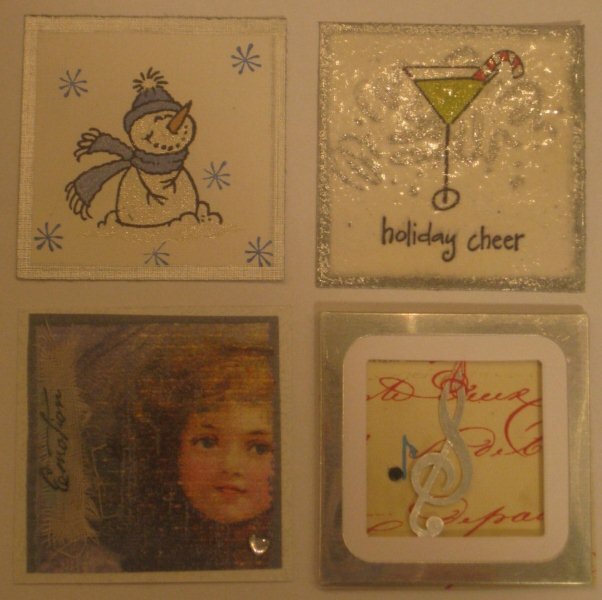 The image and sentiment are from Create with TLC and are digi's. 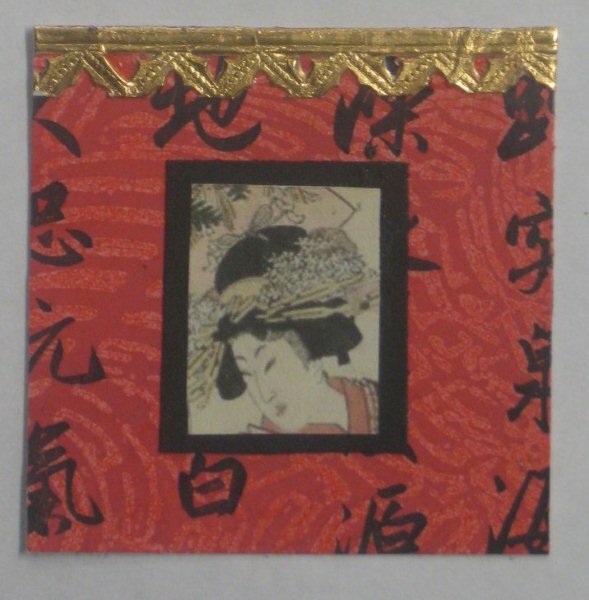 I added Sakura Gelly Roll Pen for shimmer. 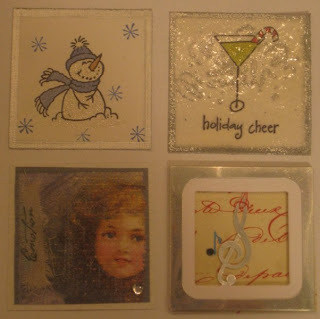 The embossing folder is music notes and I highlighted that with Close to Cocoa and the gelly roll pen. 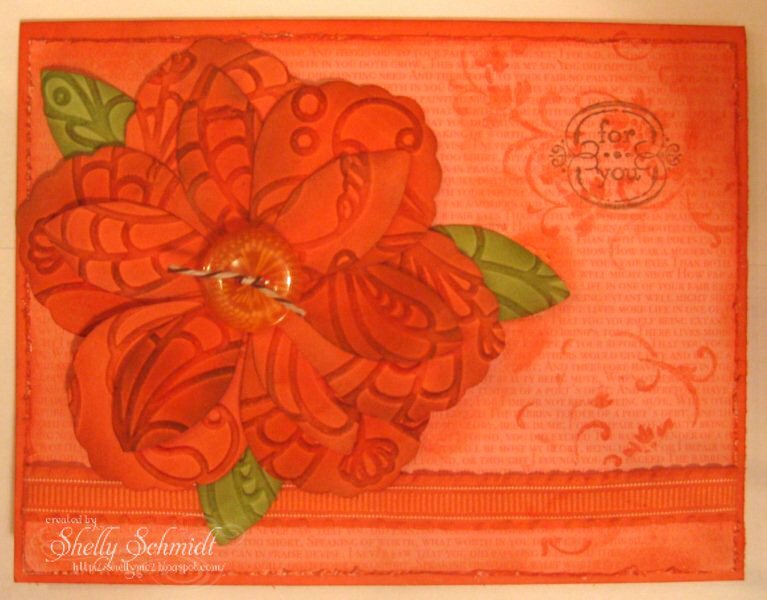 Here is the link to Lisa's blog- our Blogger Challenge 'Mom'. Below is a linky for you to join in with your 'Things with Wings'. Twinchies are 2" x's 2"
I used Ranger Distress Stains for the background and added some stained German Scrap and sewed it on. 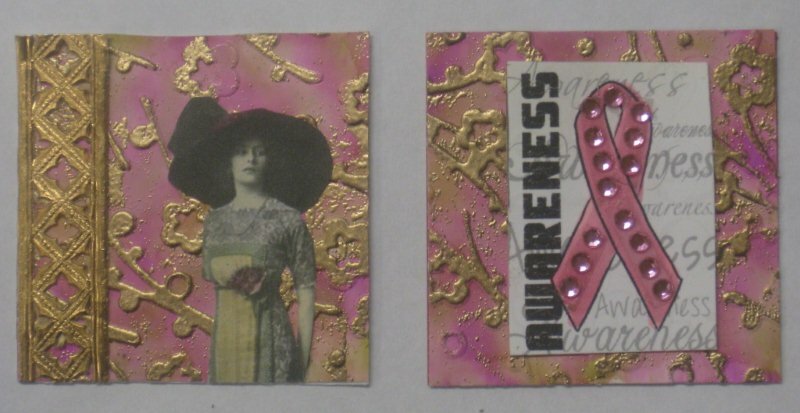 This is the Faux Washi technique (Technique Junkies), German Scrap and on the Rt- McMahon Five Designs Breast Cancer freebie digi image plus rhinestones. 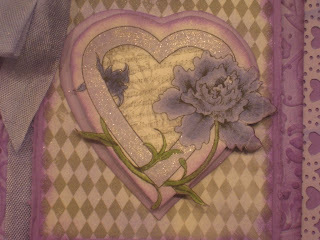 More Graphics on Metallic Parchment background (Technique Junkies). 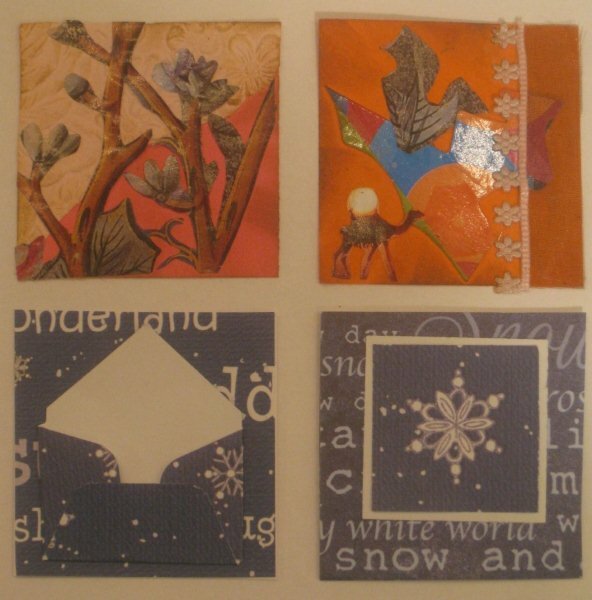 Wax paper resist with a Cuttlebug Folder- German Scrap at the top. On the Lt- a shimmery black background made with Opalite purple inks dabbed on and really shimmery purple with gold twinkling H2O's paper- I punched out hearts and added a sentiment. For the snowflake- I put Metallic tape thru the Cuttlebug and cut out a snowflake. I added it to a phonebook page that has Ranger Inks in blues and added foil tape around the edge. 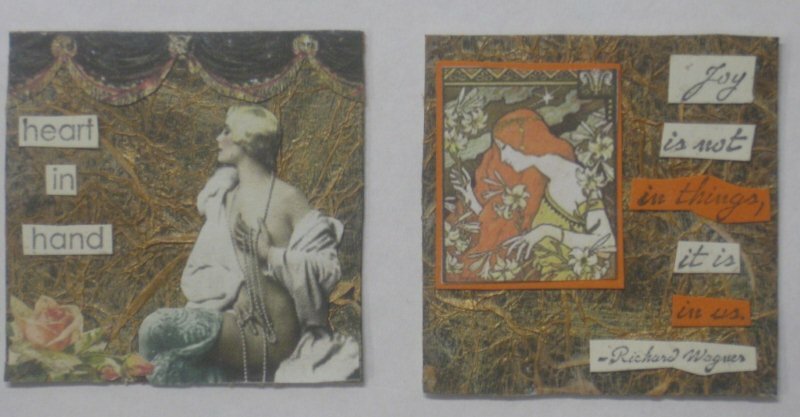 Top Diane M. and bottom Harriet. 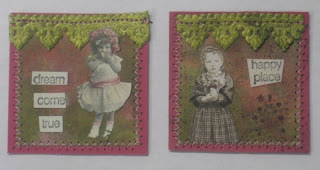 Fun Fun- there is a Swap at Gingersnaps for Twinchies- I think I will keep making these- they are so much fun! There are alot of ideas here too! My recent trip to Breckenridge encouraged this card....my son is a ski instructor there, and he wears this blue color snowsuit when he is teaching. 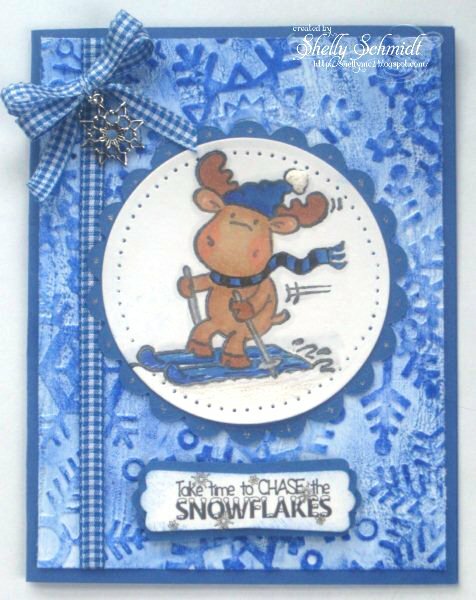 I have not used this Riley stamp in ages.....and I used some gingham ribbon and a snowflake charm that I had to dust off...... I colored the image with Copic Markers. I used a Technique Junkies technique on my card called Chalked Emboss- so the background looks soft and then I highlighted the embossing for a 'pop'. 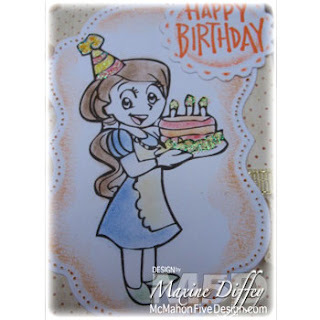 I used a digi sentiment from Create with TLC- there is going to be a HUGE party at Create with TLC soon- the counter is just shy of 1500 followers on her blog......!!! Wahoo! I cannot wait! 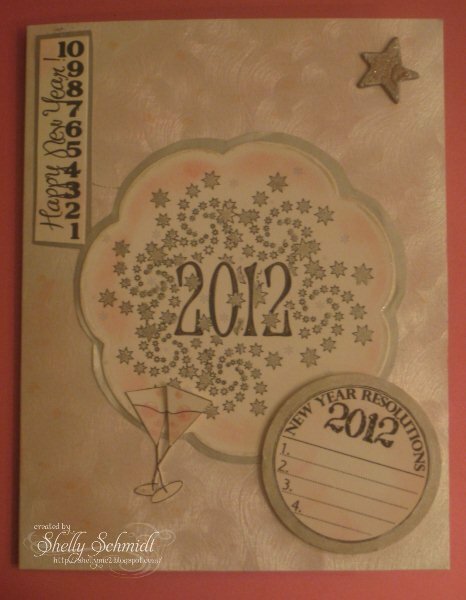 I made a card for a New Years Eve Celebration for the Host/hostess of a fantastic party. I used Silver Lustre cardstock for the base cardstock. All of the images are digi's from Create with TLC. I used the Ranger Paint dauber and applied the paint with a paintbrush to the stars on the main image and around the resolution punched circle. I added a pink digi set of Champaigne glasses, so took and sponged on some pink to the background to bring it all together. The grungeboard star on the top right has Spun Sugar Distress stain, and some dabbed on Silver dauber-plus Sakura Gelly Roll pen for sparkle. 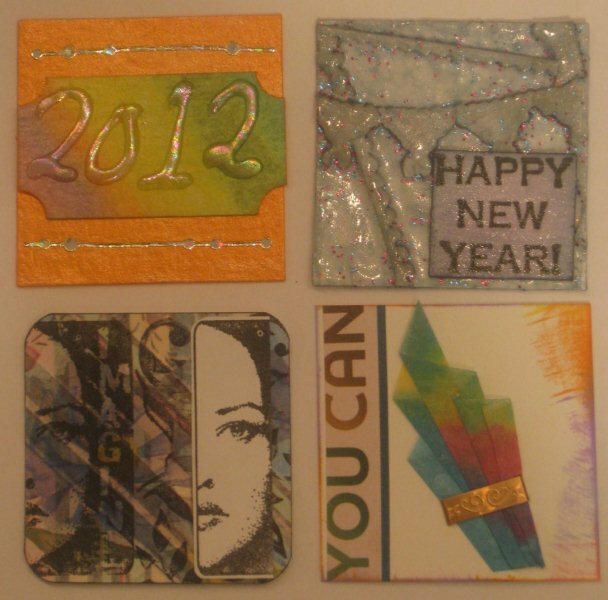 I love the great sentiments and images at Create with TLC- many free- and the clubs are fabulous. 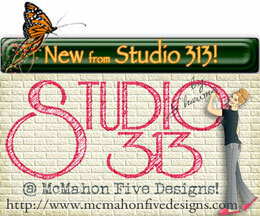 Stop by and say hello- tell her Shelly sent you! 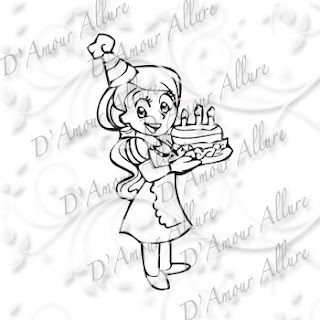 The Bloggers challenge this week is Celebration- and it is open to your interpretation. Blog 'Mom' Lisa can be found HERE.